Professor Philip Lane and Professor Alan Smeaton were awarded the Academy Gold Medals. The medals, which are sponsored by the Higher Education Authority, are awarded to individuals who have made a demonstrable and internationally recognised, outstanding scholarly contribution in their fields. The medals were presented by Robert-Jan Smits, Director-General of Research and Innovation with the European Commission who said that ‘each of these awardees have demonstrated through their outstanding contributions to academia and the impact of their research the intersection of research, scholarship and ‘real world’ application. Ireland, and Europe as a whole, can be proud of such achievements’. Speaking at the ceremony President of the Royal Irish Academy, Professor Mary E. Daly, said the Academy Gold Medals recognise two of Ireland’s foremost contributors to the world of learning. Such public recognition of excellence is important, and the Academy is delighted to be able with the generous support of the Higher Education Authority, to honour the recipients. Both medallists thanked the Academy, their nominators (Professor Patrick Honohan and Professor Brian MacCraith), colleagues and family for their continuous support. Guests at the ceremony included members of the Irish higher education system, funding agencies, recently retired Governor of the Central Bank, Patrick Honohan members of the Royal Irish Academy and friends and family of the medallists. 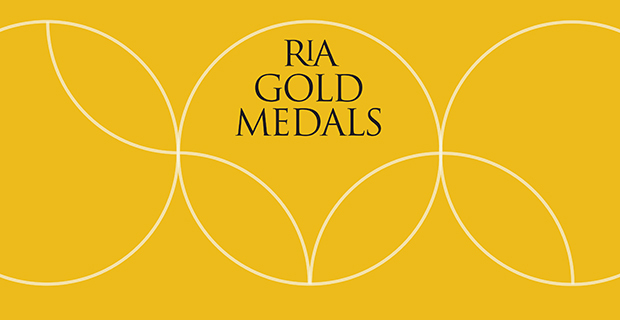 The Royal Irish Academy Gold Medals were established in 2005 to acclaim Ireland’s foremost thinkers in the humanities, social sciences, physical & mathematical sciences, life sciences, engineering sciences and the environment & geosciences. They are awarded to two outstanding academics each year and are recognised as a truly national expression of celebration for scholarly achievement. Each medal is a testament to a lifetime of passionate commitment to the highest standards in scholarship and they are a well-deserved recognition of academic excellence. The medals identify and recognise inspirational figures in order to celebrate the achievements of higher education in Ireland and to inspire future generations. The medals are kindly supported by The Higher Education Authority. Philip R. Lane is the Governor of the Central Bank of Ireland, taking office in late November 2015. From 1997 to 2015, he was a member of the academic staff at Trinity College Dublin and he remains affiliated with the university as Whately Professor of Political Economy (on leave). Philip is a member of the Royal Irish Academy and an Irish research Council award holder. Prior to his current role, he also chaired the Advisory Scientific Committee of the European Systemic Risk Board and was Director of the International Macroeconomics and Finance Programme at the Centre for Economic Policy Research (CEPR). His research interests include financial globalisation, macroeconomics of exchange rates and capital flows, macroeconomic policy design and European monetary integration. His work has been widely published in journals such as the American Economic Review, Review of Economics and Statistics, Journal of Economic Perspectives and other international publications of note. Alan Smeaton has been a Professor of Computing at Dublin City University since 1997 and during that time he has been Head of School and Executive Dean of Faculty. He leads a team of over eighty researchers at the Insight Centre for Data Analytics at DCU, where he is Director. His research interests broadly cover the development of computing technology to help people find information, whether that is text, image, video, or any combinations of media. Alan is a Member of the Royal Irish Academy, a board member of the Irish Research Council and a member of the Scientific Committee of COST. His work has been published in International Journal on Document Analysis and Recognition, the Journal of the American Society for Information Science, and Machine Visions and Applications along with a host of contributions to international conferences and resulting publications.